Ask and ye shall receive. At least in the case of crock-pot slow cooker recipes. I love getting emails from you awesome readers (well almost all of you – there is this one person ehem … ) telling me you made something and loved it, asking me where I purchased an item, asking for more of a certain type of recipe. Lately I have been inundated with requests for more crock-pot slow cooker recipes. Perfect timing because I’ve partnered with Crock-Pot® Slow Cookers to bring you a few recipes using their new Crock-Pot® Smart Slow Cooker WeMo Enabled. What does that mean? It means that it works with your smart device (Android and Apple) to let you easily adjust cook settings … from virtually anywhere. Technology is (most days unless it locks me out of something) awesome. It’s a pretty amazing crock-pot slow cooker. Want to see it in action? Watch the video below. “The Crock-Pot® Smart Slow Cooker enabled with WeMo® is everything that you love about Crock-Pot® Slow-Cookers taken to the next level. If you have been looking for a great reason to get a new Crock-Pot® Slow-Cooker–this is it! This Slow-Cooker features a roomy 6-quart capacity that accommodates large families or dinner parties, It has an oval shape that fits roasts and large cuts of meat, and the glass lid helps trap in heat and moisture. Once cooled, the Slow-Cooker cleans up easily. Wipe down the heating base’s exterior with a damp cloth and place the removable stoneware and glass lid in the dishwasher. You can have these meatballs prepped an into the crock-pot slow cooker in about 10 minutes. Then set it and forget it. They’re that easy. 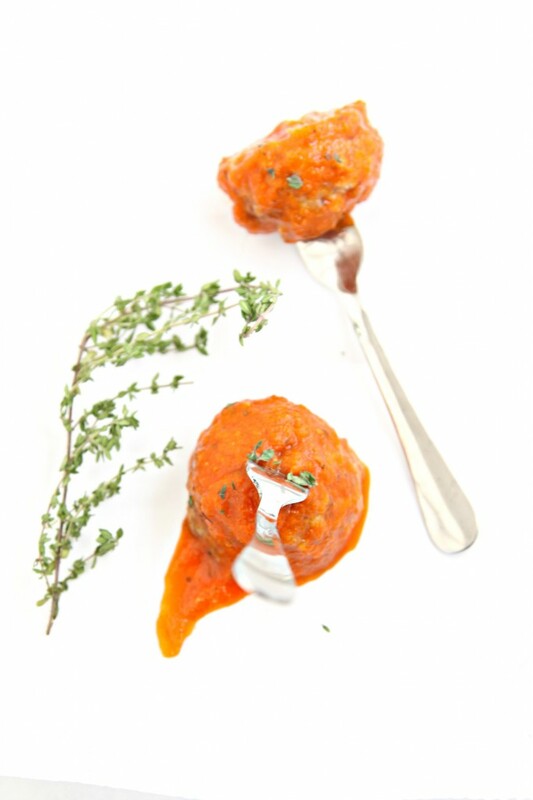 We’re working with the bigger is better concept (I think I might call them Texas Sized Meatballs) for this recipe BUT if you’re looking for a smaller bite just use a smaller cookie scoop. Easy peasy. Once cooked you can stretch these meatballs into several meals. LIKE: Spaghetti and Meatballs, Meatballs Subs OR put a few into an oven-proof bowl, top with mozzarella and bake until melty and delicious. Now who wants a meatball? They’re kinda hard to resist. Disclaimer: This post is sponsored by Crock-Pot® Slow Cookers. I was compensated for my time. Opinions are my own. Always have been. Always will be. That’s one amazing slow cooker and those meatballs are to die for! Fantastic!!! I love my crock pot! !Easy peasy is right! That is so cool! Never heard of a “smart” slow cooker like this one before. Going on my Christmas list right now. Well this sounds easy enough! I am one of the ones loving the crock pot recipes from you! That is one amazing slow cooker! And those meatballs look like the perfect comfort food. 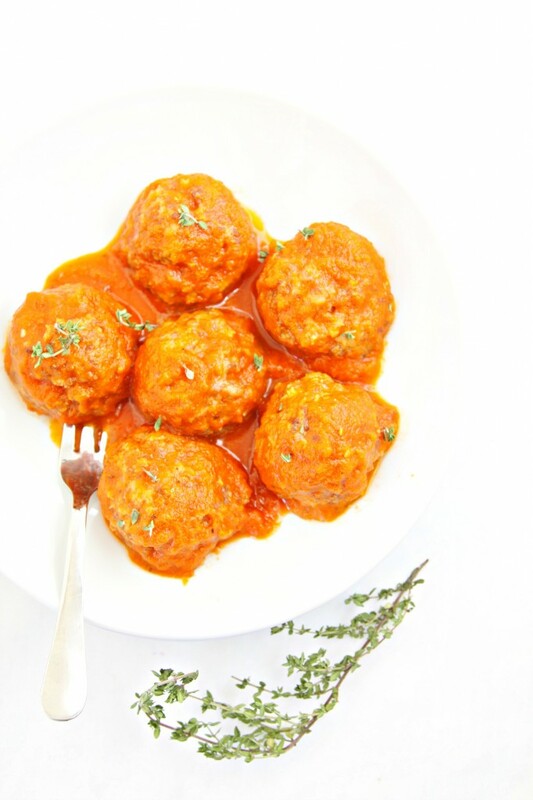 I don’t own a crock pot but after seeing these meatballs, I must! I love the idea of making a big batch of meatballs in the crockpot to divide up into different meals. These sound tasty! I think I need to pull out my slow cooker. This dish looks amazing. Perfect for a frigid day like today! I’m sure those meatballs will melt in your mouth like a hot knife cutting through butter. Never thought of cooking them with milk – I’ve exclusively cooked them with mixed vegetables and tomato sauce on a pot (like a soup). I’ve also tried making sweet and sour ones, though they never came out well (they’re either too hard or too mushy). I’ll try out the slow cooker. Great recommendations and thank you! that’s awesome! 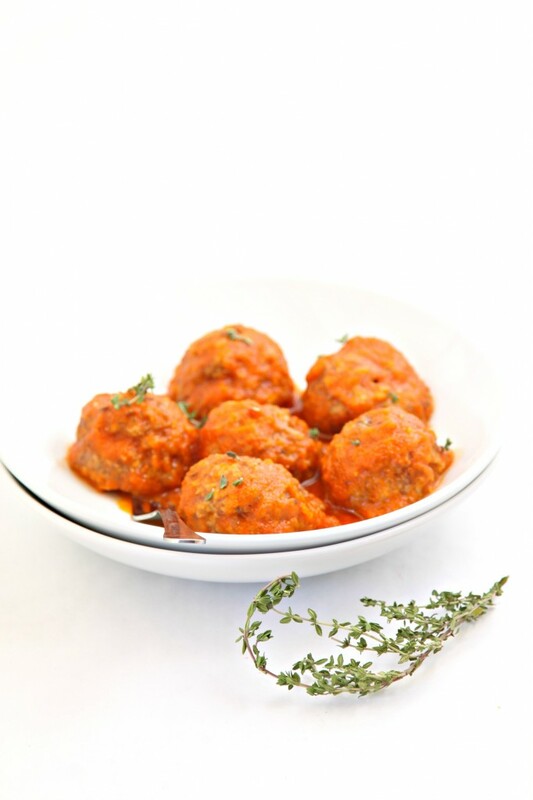 I need that slow cooker in my life and these meatballs! These meatballs look amazing. And I’m totally blown away by a crock pot that you can control with your phone. What!!! That’s crazy and awesome. What a world we live in now!